Part of the reason many people pick up exercising only to drop it a few days after is that of a lack of stimulation. Walking on a treadmill inside a fluorescently lit gym consistently is a bigger mental challenge than a physical one. Fortunately, the great outdoors provides an excellent substitute. 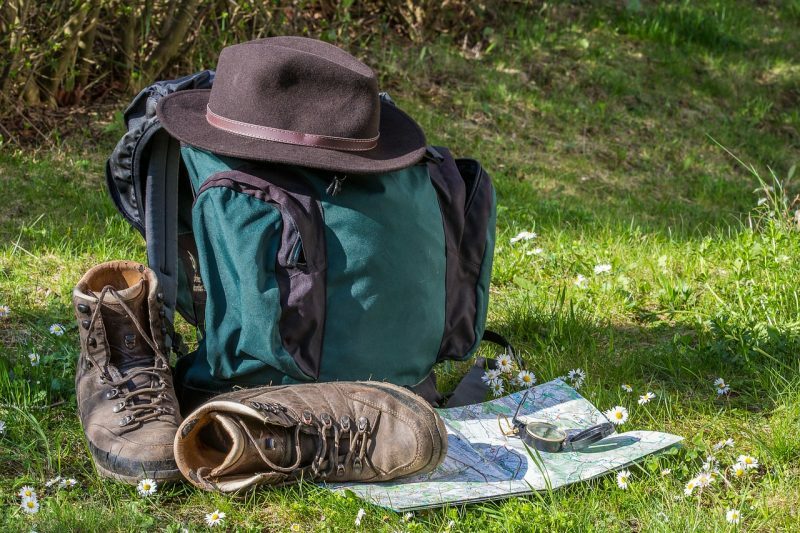 Plan to go on a hike and enjoy the beautiful outdoors, while also burning a lot of calories. Trials also provide a narrative for your exercise: keep going until you reach your destination. Be sure to wear the appropriate footwear, dress in layers if it’s cool, and pack some healthy energy-packed snacks and water to keep you sustained. An alternative to scheduling certain days or times to walk is to simply commit to walking as much as possible. For optimal health, it’s recommended to walk around 3 miles a day. These three miles add up to around 360 calories burned at ease! Unfortunately, most people are stuck in sedentary lifestyles that only put them in a constant state of transition from a car seat to a chair. Three miles isn’t a difficult goal to hit, especially if broken up periodically throughout the day. You could walk to work, during your lunch break, and then again in the evening to decompress. Walking not only puts your fat burning on auto-pilot, it can also help your mind to process the day and recalibrate. Part of eating clean means knowing what to eat, what not to eat, but the vast majority is building the discipline to consciously and consistently make good nutritional decisions. Knowing what to eat is simple. Aim for high-value foods such as avocados, organic meats, leafy greens, veggies, and drink plenty of water. Knowing what not to eat is pretty simple, but very hard. Sugar is proven to be nearly as addicting as most drugs. The worst part is that it is not only socially acceptable to binge on sugar, it’s openly advertised as being OK by big corporations. Eliminate high sugar foods, sodas, fried foods, and processed meats from your diet and you will be feeling great and losing weight. Building the discipline to consistently make good nutritional decisions is the hardest part. Discipline is a muscle like any other, and it must be trained. It’s important to visualize a goal and create a frame of reference every day that helps you to stay motivated. The slow carb diet is a phenomenal way to allow your body to burn its existing fat deposits. In his book focused on exercise and health optimization, the 4 Hour Body, Tim Ferriss explains how the slow carb diet is an easy way to start losing weight at a healthy rate. You essentially limit the number of carbs you have until later meals. For example, in the morning you can have a nice two eggs + egg white omelet with an avocado. Then for lunch, you can have a grilled chicken breast with broccoli. Then, for a post-workout or mid-afternoon snack, you can have a protein shake. For dinner, you can have a grilled tilapia with a small bit of pasta or rice. Your body processes nutrients differently, and this order helps your body to prioritize the energy it currently has rather than storing it in the form of fat. Essential oils have risen to popularity because of their wide variety of uses. They are proven to be able to help with everything from anxious moods to food cravings. For the scope of this article, you’re going to want to pay attention to the essential oils that help food cravings. It’s important to understand the difference between a food craving for taste, and a food craving for nutrition. Chances are if you are fiending for a scoop of Rocky Road ice cream (my personal favorite indulgence), you’re likely not looking for sustenance. These cravings, as you know, are likely the cause of a few extra pounds we carry around. Certain essential oils make the self-disciplining process much easier. Peppermint essential oil helps to cleanse the lymphatic system and has anti-inflammatory properties. It helps with sluggish digestion. Sports are an awesome way of keeping your mind engaged while burning an insane number of calories. Be sure to pick a sport that is as mentally fulfilling as it is physically engaging. One of my personal favorites is pick-up basketball. It’s fun, competitive, allows you to spend time with friends, make new friends, and burn over 500 calories an hour! There are also some more individualistic sports that make for great exercise. It’s important to only compete with yourself, and aim at improving your baseline state. 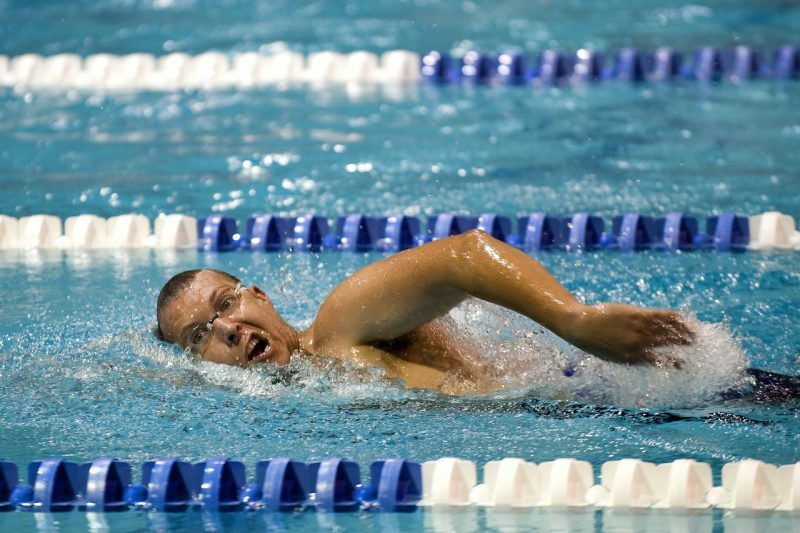 Swimming, for example, can burn around 400 to 800 calories an hour! Yoga seems to be a cure-all for a wide variety of ailments, as well as a great form of exercising. The consistent stretching and lengthening of the spine help to reverse years of bad posture developed from slouching and sitting in chairs for most of your work life. Yoga, hot yoga, in particular, is also phenomenal for weight loss. Just 30 minutes of yoga can burn 200 calories! Not only are you burning calories, but you’re also stretching out your muscles, becoming more flexible, helping your mind to decompress stresses, and strengthening up your stabilizing muscles that will help you to go through your day with a better posture and overall better mood. A fluffier dog can make a wonderful addition to your life, as well as keep you motivated to consistently exercise. Dogs are full of energy and need to be walked, which coincidentally is a perfect way to lose weight and be healthier. Having a dog in your life can also help to improve your mood, reducing the stress chemicals that we often try to combat by eating more food. If adopting a dog isn’t realistic for you, you could also consider fostering a pup for a few weeks until it finds a home, or even signing up for a dog walking app and get paid to take dogs on walks! Intermittent fasting (IM) is a phenomenal way to lose weight naturally because it simply limits the window in which you can snack and eat. The premise behind intermittent fasting is to go for an extended period in your day where you are not eating, and this allows your body to use the energy it already has before seeking external sources. It does require training your body and mind to be able to handle consistently, but once you get into the habit of IM you will see significant improvements in your weight. Intermittent fasting isn’t so much a diet, as it is a dieting pattern. You are able to pick which times of day you’d like to fast, and which window you’d like to eat. My personal favorite is to capitalize on the 8 hours window of not eating when you’re asleep, and carrying it over for another 8 hours. If you’re going to bed at 10 PM and waking up at 6 AM, you would then have your first meal at 2 PM. Wake up earlier plays perfectly into the active lifestyle that helps us to lose weight naturally. It’s not an easy habit to build, but once you can consistently wake up early you will see tremendous improvements in your overall mood and health. Waking up early is one of my favorite habits because it allows you to run your day on your terms. For example, if I wake up at 5 AM, it’s likely that all my friends and clients are still sleeping. This gives you a solid few hours before the emails and texts coming pouring in, and these few hours can be used for everything from exercise to meditation. Your body also burns more calories when it’s awake, so your metabolic burn rate significantly increases, helping you automatically burn calories! Standing up seems to be one of the most well-guarded secrets of the productive world. Great people like Winston Churchill, Benjamin Franklin, and Ernest Hemingway consistently wrote while standing up. One of the simplest ways to lose weight is to stand as much as possible. If you have a stand-up desk at work, opt to use that over your normal desk. Standing up helps us burn up to around 50 calories an hour. It doesn’t seem like much, but it adds up. If you’re standing for just three hours a day for 5 days, you’re burning around 750 calories. And if you carry this habit over the year, you’ll be burning around 30,000 calories, which is about 8 pounds of fat. Keep in mind that the hardest part of losing weight is forming the discipline to be able to consistently execute your plans for weight-loss. The strategies in this article will help to build your discipline by getting you involved in fun and engaging activities. In order to make full use of them, diversify your strategy and focus on only one habit at a time. This is a very well written blog and contains many useful and easy ways to lose weight naturally. nice listing. Waking up early and morning workout will definitely helps to loose weight. Recently i published an article about benefits of morning yoga. If you have time make sure you check it.